While Avengers: Endgame is roughly a month away from arriving in North American theaters, a couple of international markets will be getting the film a bit early. 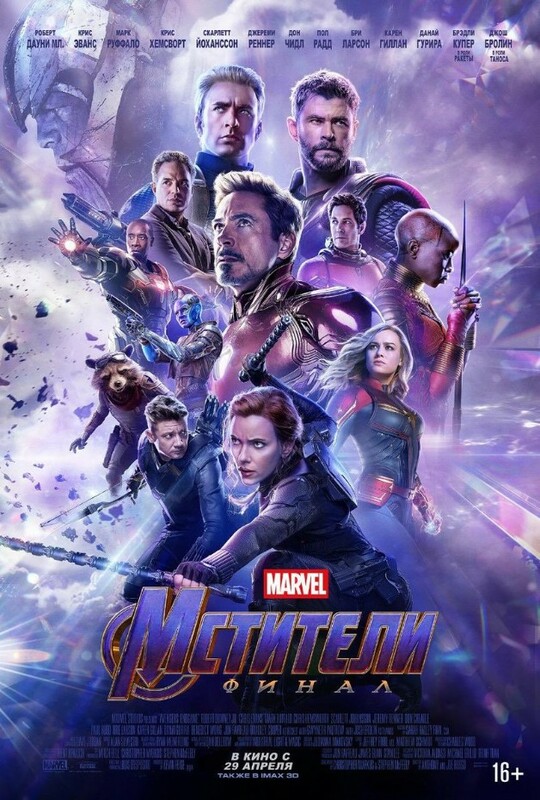 And now, to promote its upcoming release over in Russia, Disney has today shared a new poster which sees Earth’s Mightiest Heroes coming together and readying themselves for battle as Thanos looms large in the background. A lot of the heroes are seen here in the exact same poses that’ve been featured on previous promotional material, but we do get fresh looks at War Machine, Nebula and Ant-Man, along with a few others. All things considered, it’s a nice enough image, though it’s unlikely to get as big a response as that Chinese poster which dropped yesterday and featured a total of 29 characters, including a whole load of those who were dusted in Avengers: Infinity War. On that note, you could say that some of the marketing for Endgame has been underwhelming so far, given how much Marvel has been holding back and how much they’ve recycled, but at the same time, it’s nice to see them going to such extreme lengths to keep spoilers under wraps. After all, we’ve been told that there are way more spoiler moments in this film than the last, and co-director Joe Russo recently urged fans that once Endgame releases, to stay off the internet until they’ve seen it. Of course, it’ll be pretty tough to avoid any and all spoilers once the end of April rolls around and though you can try your best to keep off the internet, it’s probably safe to say that anyone looking to go into Avengers: Endgame completely cold next month is in for a pretty rough time.